For the second year, the Obstacle Course Racing World Championships are heading to Blighty, north of London and inov-8 are will once again be the official footwear partner. 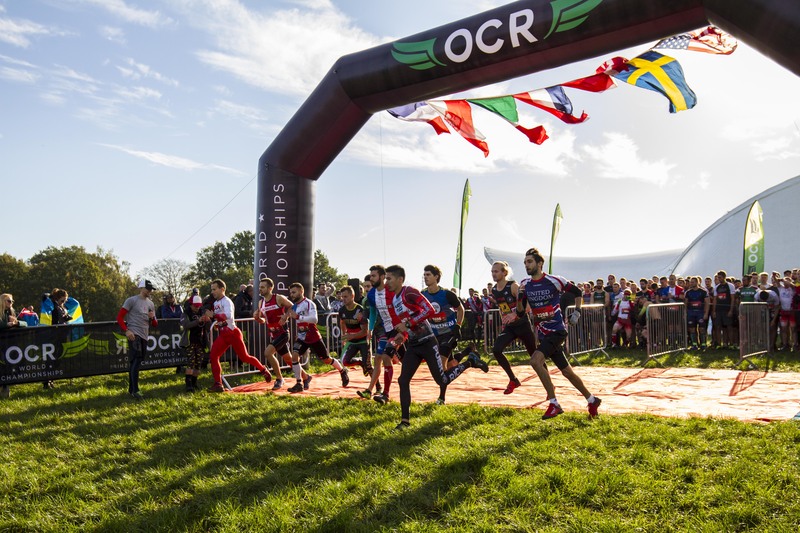 The 2019 OCRWC will be held just outside London on October 10-13 and will see more than 5,000 of the world’s best obstacle course racers battle it out over muddy terrain and the sport’s finest obstacles. Along with the 3k, 15k, team and charity competitions, the 2019 event will also debut the much-anticipated 100 Meter Sprint Championships, which sounds like one to watch, given it will be an all out suffer fest and require maximum commitment throughout. “We are proud to once again be the official footwear brand of the OCR World Championships here on home soil in the UK. 2018 was a fantastic experience for us, and we can’t wait to return this year,” said Michael Price, inov-8 Product & Marketing Director. “Obstacle Course Racing is a sport on the up and attracts racers of all abilities. The world championships are, of course, the pinnacle of the sport, where the toughest come to compete. This year, like in 2018 when 8 of the top 10 male athletes at the championships wore inov-8 shoes, we will bring the world’s toughest grip to the party.” First staged in 2014, last year saw the championships held outside North America for the first time in its history, with racers from 65 countries taking part. Such was the success of the 2018 championships staged in Brentwood, Essex, that it will return there for 2019. Having watched the 2018 championships in all their glory, I can attest they are something special. The dedication, commitment and will shown by all from the elites racing for titles, to the age group and charity runners, hoping to complete the course without sacrificing their bracelet or being timed out/DNF is raw and everywhere to be seen. Encouragement from those spectating is unlike any running event I have witnessed. So, get qualifying if you want to represent GB at the World Championships in October and I will see you there.